Carlton began his career at a very early age in the funeral home industry. 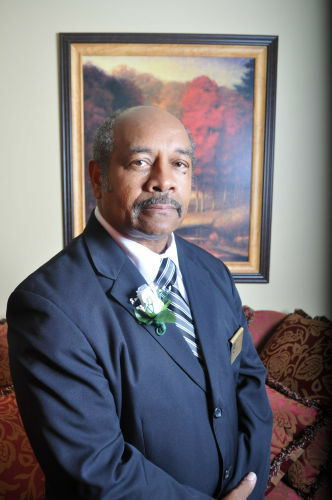 In August 1965, at the age 12 Carlton began working at Hamilton Funeral Home in Goldsboro as part of the maintenance crew under the leadership of Levi Hamilton Sr, founder and owner. 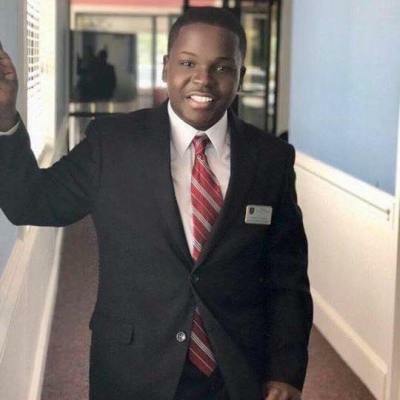 He continued his faithful service as a maintenance crew member until the age of 16, when his dreams of officially working funerals and driving funeral cars came true. 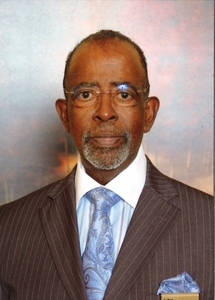 Carlton continued his dedicated service to the funeral home until he enlisted into the United States Army in 1969. Carlton served in the United States Army for a period of 3 years and served two tours in the Vietnam War in which he received a Purple Heart for injuries received in combat. Following his recovery, Carlton was assigned to the US Army mortuary Saigon Vietnam to fulfill his dreams of becoming a licensed embalmer. Following his tour of duty, Carlton returned to the states and returned to Hamilton Funeral Home. 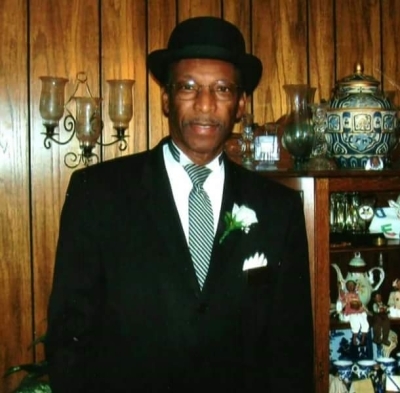 He then enrolled in Gupton-Jones Mortuary College in Atlanta and received his Funeral Service Degree and became a licensed Funeral Director and Mortician in 1974. For the past 39 years Carlton has been dedicated to providing the families he has been honored to serve with the upmost care and consideration. “It is my upmost desire to ensure every family that we serve at Stevens Funeral Home is served with dignity, honor and integrity." 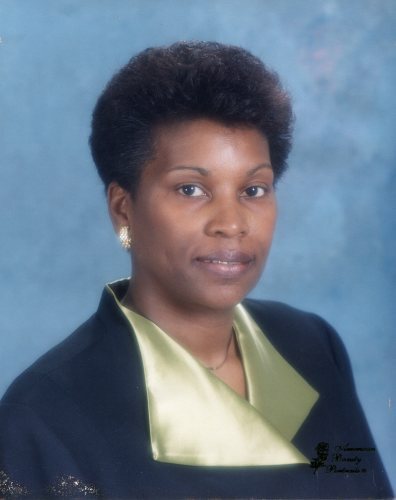 Carol joined the funeral home industry as a licensed insurance agent in 1979. 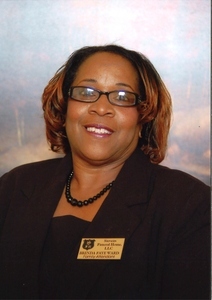 After much hard work and perseverance, Carol graduated from Fayetteville Tech Community College with a Funeral Directors Certification and became a licensed funeral director in 1995. Since that time Carol has been serving her community with precision and genuine care. 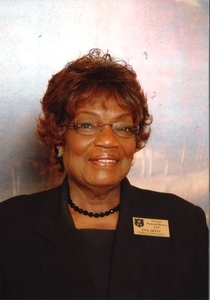 Carols’ educational achievements include: an Associate of Applied Science Degree in Administrative Office Technology from Wilson Technical Community College, a Funeral Director’s Certification from Fayetteville Technical Community College and a Bachelor’s of Science Degree in Business Management and Organizational Development from Mount Olive College. Carol believes in working hard and whatever job one does, there must be a passion and an innate ability to love what you do. She believes there are certain attributes that must be present in order to truly be successful such as a genuine concern for people, honesty and a willingness to go over and beyond the call of duty in order to ensure that every family is served with excellence. Carol was married to Carlton Stevens who passed away May 11, 2016. They have two children, Carlton and Maurice. 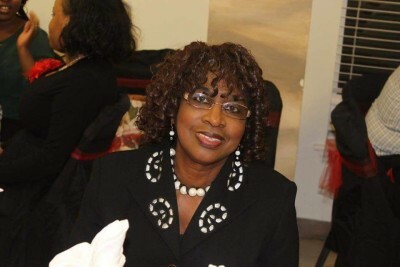 She is a member of Contending For The Faith Church Ministries. Following his graduation from ET Beddingfield High School in June 1993, Carlton Jr. joined the United States Army. 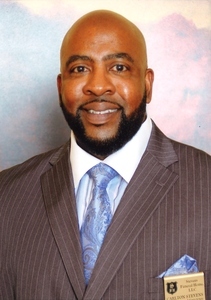 Following his 4 year enlistment Carlton returned to Wilson and later pursued his Funeral Service Education Degree at Fayetteville Technical Community College. 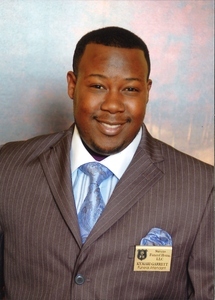 In 2001 Carlton Jr. graduated from Mortuary School and became a licensed embalmer and funeral director. 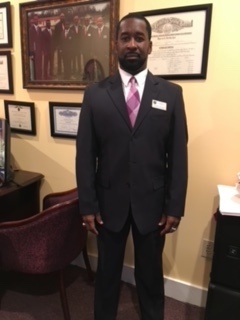 Over the past 17 years Carlton has served in many capacities in the funeral industry including General Manager of McIntyre Funeral Home and as a trade-embalmer for several firms within Eastern North Carolina. 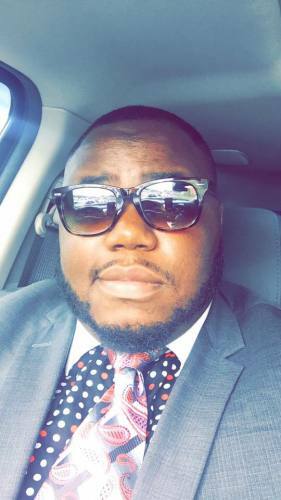 In 2006 Carlton Jr. joined the Wayne County School System as a Math and Business Teacher at Dillard Middle School located in Goldsboro, North Carolina. 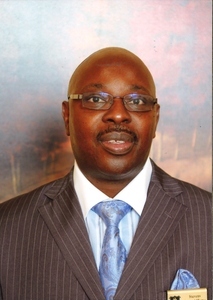 Following the completion of his Masters in School Administration he was promoted to the position of Asst. 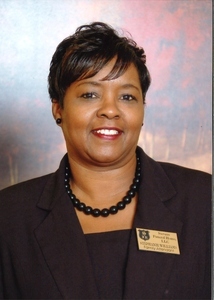 Principal of Eastern Wayne High School. 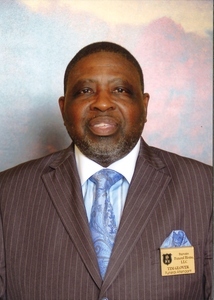 The following school year he had the honor to return to the school in which he began and served as one of the School Administrators of Dillard Middle School. 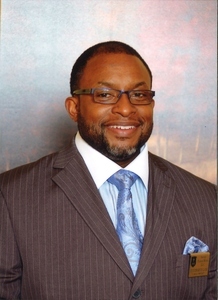 He has completed his course work at Fayetteville State University in the Doctorate in Educational Leadership Program. 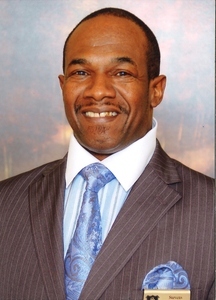 Carlton is a member of Contending For The Faith Church Ministries. He is also member of the illustrious Omega Psi Phi Fraternity, Inc.
Carlton's hobbies include lifting weights, boxing and playing tennis. Carlton is the father of eight children; Keyshawn, Brittany, Jayden, Christian, Carlton Jr., Mia, Will and Jade and the adopted dad to many. He loves children and has a true desire to show them that they can be whatever they desire with God and Hard Work. Mr. Eddie, better known as "Eddie B' is a Wilson native. He is a graduate of Springfield High School in Lucama NC, class of 1966. Prior to retirement, Eddie B, served as a Credit Manager with Helig Meyers, Wilson, NC. He was an employee of Helig Meyers for over 34 years. Eddie B is a member of Rocky Blue Lodge #56, Kenly NC. Eddie B has been with Stevens Funeral Home since its inception and become a vital part of Stevens Funeral Home. Mr. Eddie enjoys working with Stevens Funeral Home because he loves being able to help people during their time of need. Mrs. Burns initially joined the Stevens Funeral Home Family in December 2016 in the capacity of Lady Attendant. Realizing she was walking in her passion she transitioned to the position of Executive Assistant. Tawana serves many roles. She assists the licensed directors in planning meaningful and compassionate funeral services, she serves as one of the graphic designers for funeral programs, claims processor and the list goes on and on. She is the mother of four beautiful children, Tyler, Ajai, Summerlyn and Camden and the proud grandmother of Little Mr. Carson Roscoe. Mrs. Burns is a woman of strong faith and determination that will not allow anything or anyone stand between her and the goal that she has set. Her belief is that God has allowed her to go through the things that have "broken" her mentally, physically and spiritually to show her how things should not be while showing her just how great he made her, how valuable she is as a person and further develop her faith and walk with God. Brittany is the daughter of Carlton Stevens Jr. and Sue Ruffin of Wilson NC. Brittany currently attends Wilson Community College under the College Transfer program. She is not completely decided on what she wants to major in when she gets to the university of her choice. However, she does plan to one day help her dad at the funeral home. She just hasn't decided exactly what she is going to do at the funeral home. She says "I'll just be there working with my dad". Katie is a native of South Carolina. She graduated from the University of South Carolina with a Bachelor of Science in Accounting. Before attending law school, Katie entered the workforce as an assistant branch manager of a large corporate bank. Realizing that this was not her calling, Katie decided to further her education by going to law school. 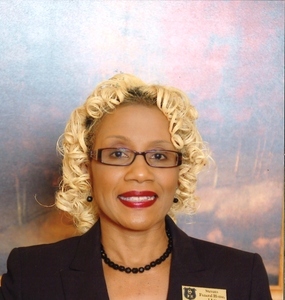 She attended North Carolina Central University school of Law where she rediscovered her first true love, taxation. After successfully completing law school, Katie decided to further her tax knowledge base by pursuing a Master’s of Law in Taxation. She received her LL.M. from the University Of Washington School Of Law and began her legal career in 2008 with a regional law firm, where she practiced tax and corporate law. During her tenure, Katie focused primarily in tax controversy where she effectively defended clients against both the IRS and North Carolina Department of Revenue. Currently, Katie is the Managing member of the Law Office of Katie A. Lawson, PLLC where she continues to zealously represent businesses and individuals in tax and corporate matters. Her passion is helping to create and grow small businesses to their full potential. Katie serves as the president of the Durham chapter of Women in Networking and is a co-founder of the Raleigh based Chicks Building Nest Eggs. 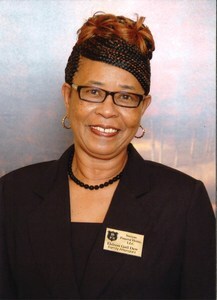 She also conducts seminars in conjunction with the IRS to educate small businesses and individuals about tax matters. 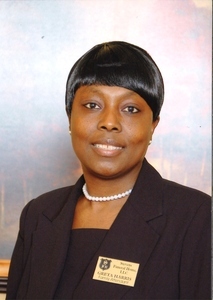 She is also active in her local church where she serves as a lead project manager. Her hobbies are reading and spending time with her friends. "I am very happy to be a part of the Stevens Funeral Home Family. I am here to support the funeral home and the families that we serve. I understand that at death, the family members that are remaining can be bombarded with legal issues that can overwhelm them. I am here to offer my professional yet personable services to our families to ensure that the family members remaining are protected in every aspect. " Rossalyn is a native of Wilson, North Carolina and has lived here all of her life. 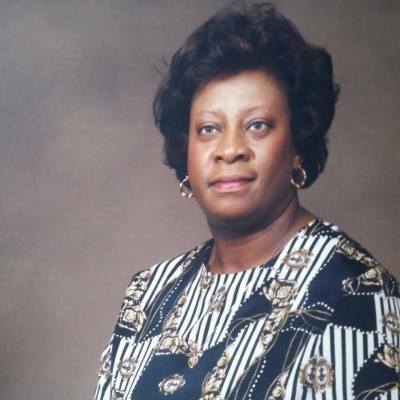 She was employed by Wilson Housing Authority for 30 years where she served as assistant to the president/CEO. Her passions are giving to and helping others and keeping children. She is a true believer in Jesus Christ and puts Him first in her life. She believes in lifting the spirits of others by showing compassion and understanding. Her motto is “ Everybody Is Somebody, Don’t look back but, reach back and help somebody because somebody helped you. Give Back!” She practices positive thinking which she believes promotes positive attitudes and environments. 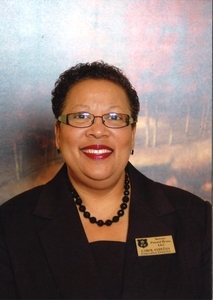 Rossalyn previously served on the board of Directors for Wilson Area Habitat for Humanity and Wilson Civitan Club. She participated in and graduated from the Leadership Wilson Program sponsored by the Wilson Chamber of Commerce; she also received the Outstanding Service Award to Veterans and Citizens of Wilson from the Wilson Patriotism Committee. 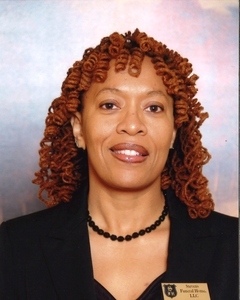 She attended Wilson Community College, she is a certified housing director with the Department of Housing and Urban Development and certified medical secretary. Rossalyn is a member of Contending For The Faith Church Ministries, where she serves as Children Church teacher and Greeter. She is married to Marvin Brent Farmer; they have three children and five grandchildren. 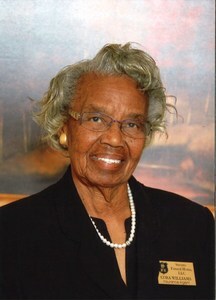 Mrs. Cora is a member of Roundtree Missionary Baptist Church in Wilson, North Carolina. Her hobbies are visiting the sick, going to church and work. "My passion is helping people. I have worked in the funeral industry for 28 years and thank God I have been able to help the ones that I have." 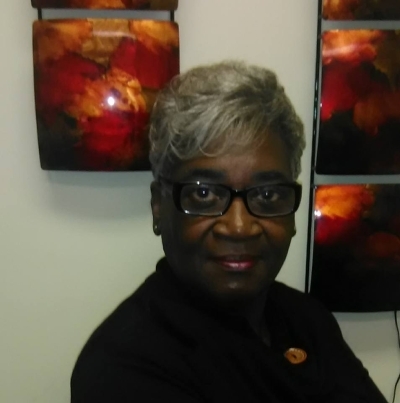 Ms. Patricia Kelly is our Accounts Payable/Receivable Assistant. She is a graduate of Wilson Community College with an associates in Business Administration. 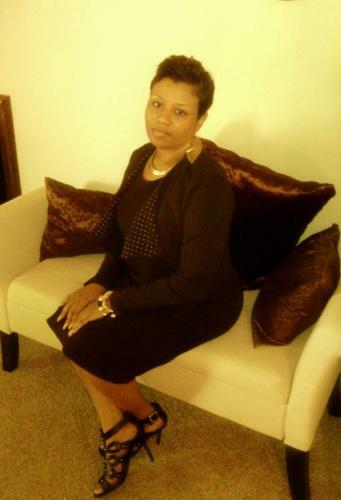 Ms. Kelly is a member of Great Restoration Church Ministries. She is the mother of 2 children. Her hobbies are reading, singing and praise dancing. Rev. 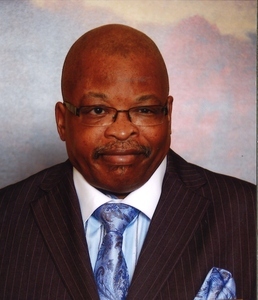 James Joyner, a true man of God, joined the Stevens Funeral Home Family in 2015 as a funeral attendant and soloist. Rev. Joyner loves having the ability to minister to God's people during their most difficult time. A devoted husband, father and lover of God, Rev. Joyner brings to Stevens Funeral Home an Anointing that comforts and uplifts anyone that is in his presence. Minister Kymari Garrett is an ordained Minister that serves as as the Minister of Music with Seek His Face Church Ministries. His hobbies are playing drums, singing, enjoying friends and family. "I am a true man of God who loves the Lord and believe in people. I am the minister of music of my church. My pastor is also my father, Apostle Maurice Garrett and Pastor Phyllis Garrett." 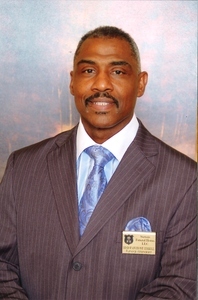 Bishop Anthony Terrell is a graduate of Apex School of Theology . He is married with 2 children. His favorite pastimes are spending time with family and traveling. "Can't Nobody do you like Jesus"
Bishop Morton is a graduate of Duke University where he majored in Christian Counseling. He is married and a father to 2 children. His hobbies are singing, preaching and helping others. A true man of God who loves the Lord. He resides in Wilson , NC with his lovely wife, Minister Stephanie Lamb. They have three children: Tekeyla, Tykeem and Kelvin II, one grandson, Jayden and a Goddaughter, Bria. 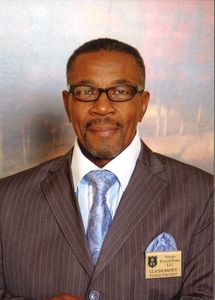 Minister Lamb is a member of Contending for the Faith Church Ministries. 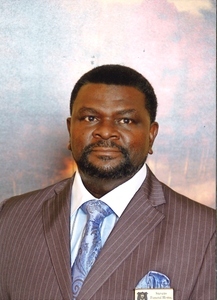 Minister Lamb is a graduate of Beddingfield High School. He loves singing, reading and studying the Word of God, teaching and preaching the Word of God and spending time with his beautiful wife and family. "I love the Lord and love people. I wish that everyone would get a personal relationship with the Lord. This is the most exciting time of my life - loving the Lord, living for Him and enjoying life. 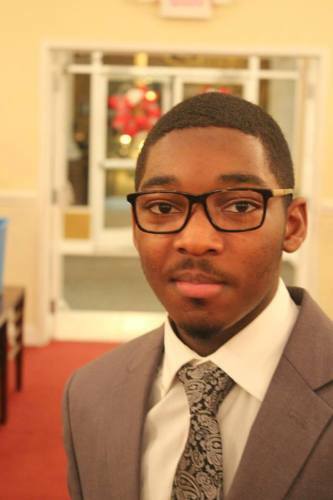 I also pray that the youth of today would get to know the Lord at an early age"
Deacon Leonard Earl Howell is a member of Apostolic Holiness Church in Lucama, North Carolina. He has served as one of the Deacon’s for over 20 years. 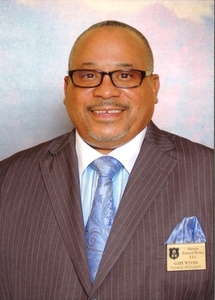 Deacon Howell’s priority is to continue to serve God and serve people with the best of his ability. Deacon Howell hobbies are playing drums, listening to music and fixing up cars. Deacon was united in Holy Matrimony in 1980 to Missionary Carolyn Teresa Howell. She will always be the love of his life. May she rest in peace. He is a native of Wilson, NC. Mr. Moore has two children: a daughter Tyler and a son Anthony. Anthony received a B.A. in Business Management from Winston Salem State University in 1985. Mr. Moore is a member of New Beginning for God’s Holy Temple Church. His hobbies are sports, traveling, swimming, reading and spending time with family. "I believe that everyone should be a part of giving back to the community and strive to set a positive example of how others should live there life." DeQualyn, better known as “DQ” is a 2016 graduate of Ralph L. Fike High School. 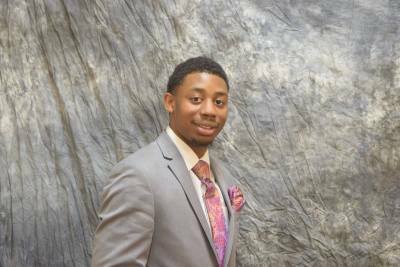 He is currently enrolled at Fayetteville Technical Community College pursing his dream of becoming a Licensed Funeral Director and Mortician. 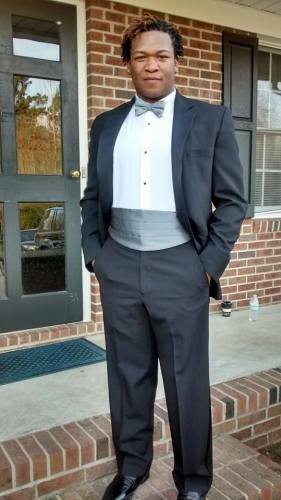 He has also recently began his Funeral Service Internship under the toolage of Carlton Stevens Jr. However, DQ has an advantage over most interns, he had the rare opportunity to sit under Master Mortician Carlton Stevens Sr. as well as learning various tricks of the trade under Master Mortician Myron Davis. With the things he learned under Carlton Stevens Sr. and the things he will learn under Carlton Stevens Jr. and Myron Davis along with the help of God, DQ will no doubt be a force to be reckoned with. 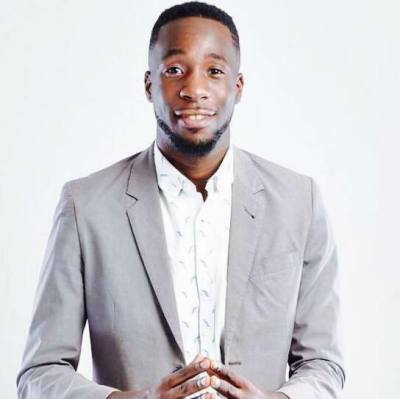 He and his family are members of Contending For The Faith Church Ministries under the leadership of Pastor Dameion Royal. DQ has a heart of Gold and has a true passion for Funeral Service. His hobbies are singing, football and going to church. Tim is a graduate of Fike High School. He is married and a father of 5 children. His hobbies are sports and helping others. 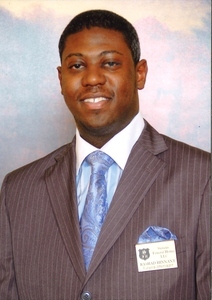 Mr. Calvin Barnes is a graduate of Wilson Community College and a member of Jackson Chapel. He is married with 4 children. His hobbies are sports, cooking and traveling. He has retired from US Navy. 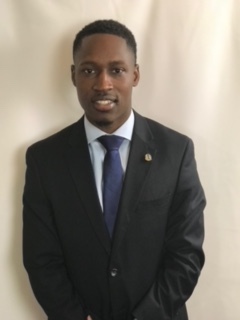 Rashad is a graduate of Fayetteville State University with a BS in Business Administration and a graduate of Fayetteville Tech Community College with a certification in Funeral Directing. 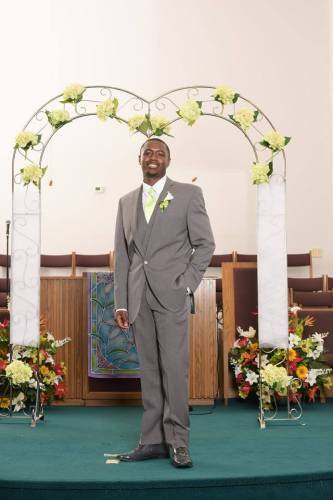 He is a member of St. Luke Church of Christ Disciples of Christ in Goldsboro, NC. 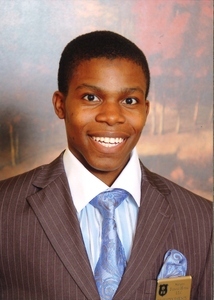 Rashad's hobbies are relaxing and spending time with family and friends. "I believe God has placed each and everyone of us here for a special purpose. We must work while it is day to fulfill God's mission for our life." Gary is a member of Word Tabernacle Church of Rocky Mount. He is married with 3 children. His hobby is carpentry. Tevin Vines, the musical teddybear, is a valuable part of the Stevens Funeral Home Family. He is an anointed musician with a love for God that is unsurpassed. Tevin is a willing vessel that will do whatever is needed to ensure the job is complete. Minister Stephanie is the owner of A New Beginning Salon and Spa LLC where serving her clients for 19 years has been a great joy. She is happily married to Minister Kelvin Lamb and they have 3 children..Tekeyla, Tykeem, and Kelvin II and a handsome grandson Jayden. 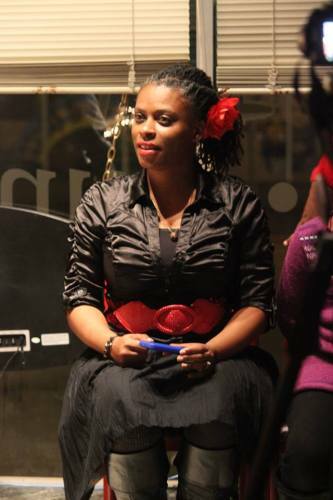 She is a member of Contending for the Faith Church Ministries. Minister Gail Dew is married to Roscoe J. Dew. They have 2 beautiful children. 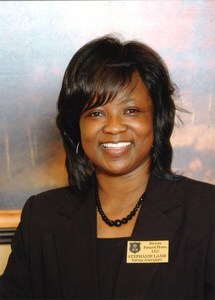 Minister Dew is a graduate of Charles H. Darden high school. Her hobbies are cooking, singing and preaching. 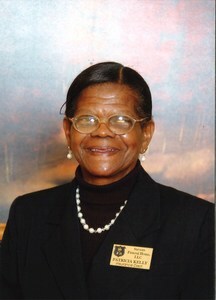 Minister Minnie McIver is a graduate of Springfield High School. She is also a member of Tabernacle of God Praise and Worship Center. Minister McIver is a mother of 4 beautiful children. Her hobbies are traveling and preaching. Eutura plans to attend Fayetteville Technical Community College the winter semester 2014 to obtain her certification in funeral directing. Eutura is a member of Farmington Heights Church. 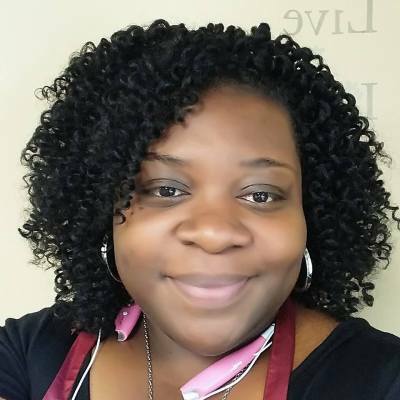 Stephanie is a graduate of Pamlico Community College with an Associate Degree of Applied Science in electroneurodiagnostic Technology. 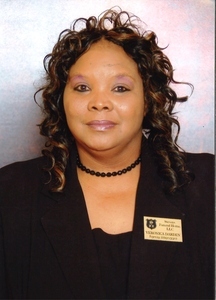 She also graduated from Fayetteville Technical Community College in the Spring of 2016 with a degree in Funeral Directing. She is a certified Notary Public. 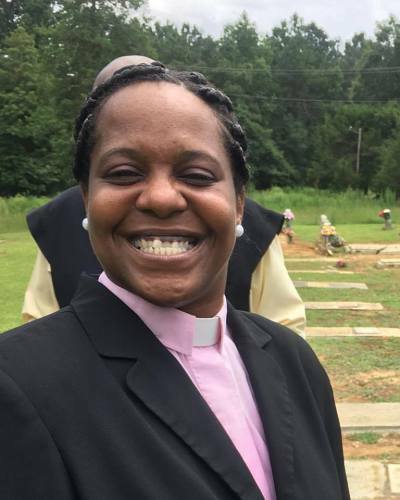 She is a member of Greater Zion OFWB Church in Stantonsburg, NC, under the leadership of Pastor George Ward Sr.
Stephanie is the proud mother of one son Justin, and holds a special place in her heart for her niece Aprille. 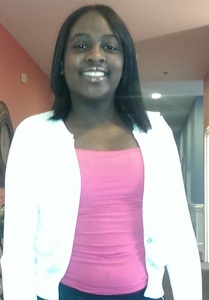 Greta is a graduate of Hunt High School and a member of City of Refuge Church Ministries. Her hobbies are shopping, writing and reading. "I love giving back to my community and living a life that will lead others to Christ." 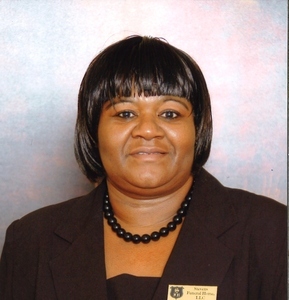 Mrs. Eva is a graduate of Speight High School and a member of Farmington Heights Church of God. Her hobbies are shopping, reading and traveling. "I'm a retired nurse but I know that my calling is still helping people. That is why I am so happy to be a part of Stevens Funeral Home." Brenda is a graduate of Barton College in Wilson NC. She is also a faithful member of St. James Christian Church. Her hobbies are singing, cooking and walking. "I am a people person. I enjoy working with people of all ages. I have a lot of love for everyone. God Bless you all." 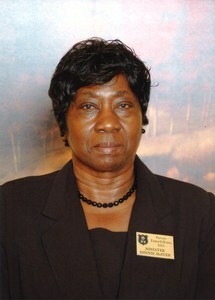 Mrs. Sheryl Burks is a member of St. Rose Church of Christ Disciples of Christ, Wilson NC. 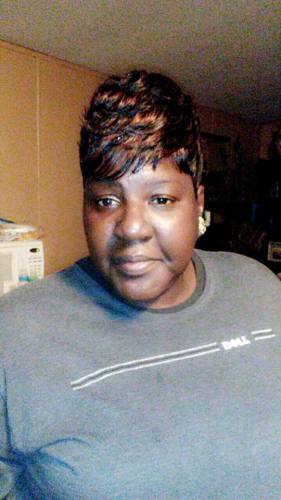 Sheryl is married to Carlos Burks Sr. and is the mother of one son, Carlos Burks, Jr. She is a graduate of Wilson Community College. Her hobbies are cooking and singing. "I believe helping others is a gift from God. I also believe it brings out the creative side of the individual, which is the true source of our joy. My parents Joseph and Burris Roundtree taught me to expel the gift of God has granted you. Let your vessels bring forth energies that offer kindness, compassion, appreciation and forgiveness." Mrs. Darden is a member of Wilson Chapel Church. She graduated from Fike High School. Mrs. Darden is married with one child.